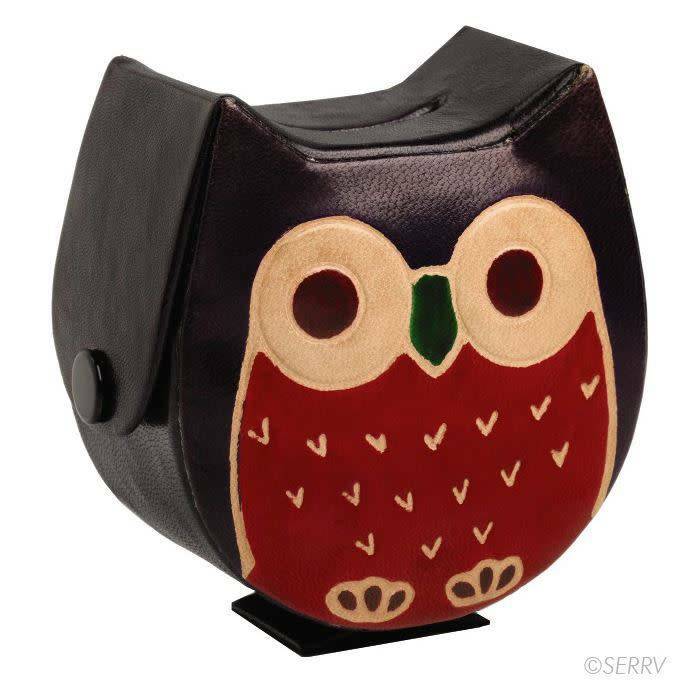 Save wisely with this embossed leather coin bank. Snap-close flap on the side provides easy access to your change. Not intended for children 3 and under. 3 1/2 in. h x 3 1/2 in. w X 1 3/4 in. D WARNING: CHOKING HAZARD - Small parts. Not for children under 3 yrs.